July 1, 2018 marks Liberty Athletics first official day as a member of the ASUN Conference, a move that was announced at a press conference on May 17, 2018. Eight of Liberty's nine men's programs have now moved to the ASUN (baseball, men's basketball, men's cross country, men's golf, men's soccer, men's tennis and men's indoor and outdoor track & field), along with nine of Liberty's 11 women's programs (women's basketball, women's cross country, women's lacrosse, women's soccer, softball, women's tennis, women's indoor and outdoor track & field and volleyball). The only programs not making the conference move are Liberty's football program, who will play its first season as an FBS independent in 2018, along with field hockey (BIG EAST Conference) and women's swimming and diving (CCSA). The announcement was made during an afternoon press conference held on the Club Pavilion of the Williams Stadium Tower. During the press conference, Liberty University President Jerry Falwell, Director of Athletics Ian McCaw and ASUN Conference Commissioner Ted Gumbart discussed the exciting new future for Liberty Athletics in front of the gathered members of Flames Nation and numerous local media outlets. The ASUN Conference, headquartered in Macon, Ga., is an NCAA Division I league committed to Building Winners for Life. The ASUN meets the challenge of maintaining the highest standards in academic and athletic achievement with a true balance between student and athlete. With the addition of Liberty, the ASUN expands its footprint into the state of Virginia for the first time in conference history. With Liberty joining the ASUN, the league resides in six states and features eight of the top-80 media markets in the nation. During the next two weeks, Liberty Athletics will introduce Flames Nation to the ASUN Conference with a variety of content, both on its website and social media accounts. Part of LibertyFlames.com's coverage of the conference move will be the releasing of all of Liberty's ASU Conference schedules. Below is a listing of when each sport's conference schedule will be released on the website. When will Liberty's move into the ASUN Conference go into effect? Liberty's 17 athletics programs will leave the Big South Conference on June 30, 2018, and will officially join the ASUN Conference on July 1, 2018. 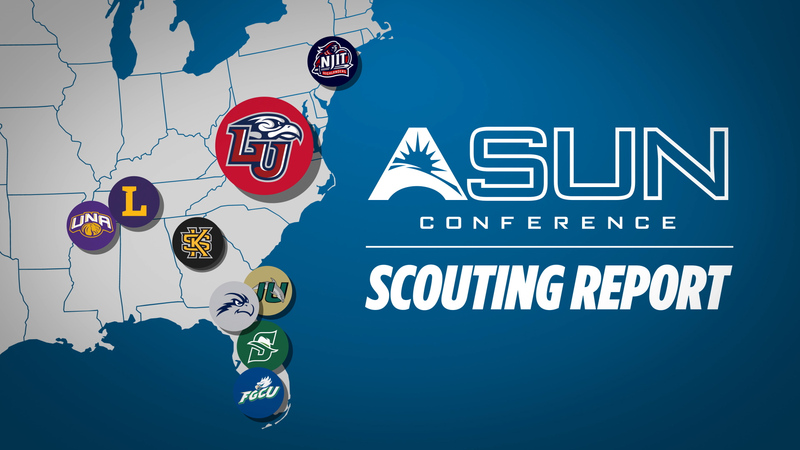 Which of Liberty's athletics programs will be joining the ASUN Conference? Liberty will have 17 of its 20 NCAA Division I athletics programs join the ASUN Conference on July 1, 2018. Eight of Liberty's nine men's programs will move to the ASUN (baseball, men's basketball, men's cross country, men's golf, men's soccer, men's tennis and men's indoor and outdoor track & field), along with nine of Liberty's 11 women's programs (women's basketball, women's cross country, women's lacrosse, women's soccer, softball, women's tennis, women's indoor and outdoor track & field and volleyball). What will happen to Liberty's three remaining athletics programs that are not joining the ASUN Conference? The only programs not making the conference move will be Liberty's football program, who will play its first season as an FBS independent in 2018, along with field hockey (BIG EAST Conference) and women's swimming and diving (Coastal Collegiate Sports Association). What is the mission of the ASUN Conference? The ASUN Conference is a NCAA Division I league with nine member institutions committed to Building Winners for Life. The ASUN meets the challenge of maintaining the highest standards in academic and athletic achievement with a true balance between student and athlete. Headquartered in Macon, Ga., the ASUN footprint reaches into seven of the top 50 media markets in the nation. The ASUN includes a blend of the most prestigious and dynamic private and public institutions in the region. What other universities will be members of the ASUN Conference during the 2018-19 athletics season? • Location: Fort Myers, Fla.
Will Liberty be eligible to compete for ASUN Conference championship titles during the 2018-19 athletics season? Yes, all 17 of Liberty's athletics programs moving into the ASUN Conference will immediately be eligible to compete for conference championship titles during the 2018-19 athletics season. The ASUN Conference has released its 2018-19 conference championship hosting schedule, which includes Liberty hosting the Indoor Track & Field Championships and the CCSA Swimming & Diving Championships (the ASUN Conference oversees the CCSA, in partnership with the MEAC, the Big South and the Southern Conference). Men's Golf (Apr. 21-23) - The Legends Golf Club in Braselton, Ga.
Women's Golf (Apr. 21-23) - The Legends Golf Club in Braselton, Ga.
What is the tournament format for the ASUN Conference Championship events? The ASUN Conference uses a variety of championship event formats regarding number of participating teams. The championship format varies from all member institutions participating in the championship event, to the top four, six or eight teams advancing to the championship tournament.